Dunajec rafting is undoubtedly one of the best ways of visiting the Pieniny National Park. It is a combination of admiring the mountainous landscape and an excellent form of relaxation that allows you to escape from the big city noise. In our offer, you will find two options for this trip classic and active. Details and information about the latter are available under the ACTIVE RAFTING tour. 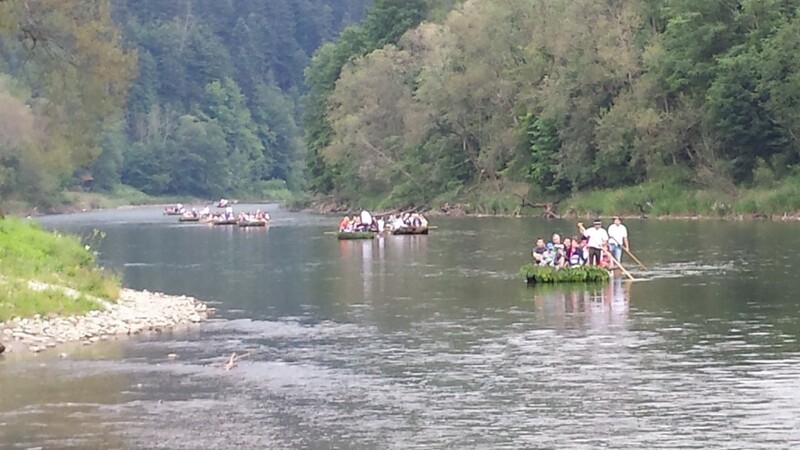 Dunajec rafting in the classic version is one of the most convenient forms of visiting the Pieniny Park. 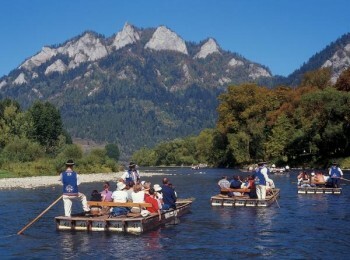 The rafting tradition dates back to 1832. We start the adventure in Sromowce Niżne, where you can find the car park, an information point, and a souvenir shop. Boats leave after gathering a group of 10 people. The length of the route is about 18 km, and the trip on the raft lasts about 2 hours. After the trip, our driver will pick you up. You can decide whether to visit the castle in Niedzica or use your free time otherwise. 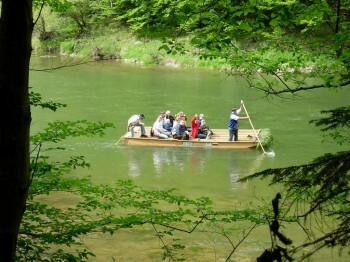 We offer the Classic Dunajec Rafting in the PRIVATE TOUR option. We created this option to satisfy the most demanding of tourists. In addition to choosing the start and end times of the trip, a private comfort-class car with a private driver, the undoubted advantage of this version is the opportunity to visit nearby places such as the castle in Czorsztyn. In this case, we kindly ask you to inform us about the intention to extend this trip in the booking form. Please make a reservation at least one day in advance. Only then we can guarantee full flexibility due to the ever rising interest in the Dunajec Rafting. After the trip, our driver will take you to your chosen destination in Krakow, be it a restaurant where you can spend a pleasant evening/afternoon or another of the many attractions that Krakow has to offer. This option for an additional cost also allows you to extend the driver's services until the end of the day. Please provide this information at the time of booking so that we can fully tailor the offer to your needs. It is possible to book a private guide in a given language for an additional fee. The guided tour usually takes about 2 hours and includes the centre and the vicinities of Krościenko as well as the castle nearby in Czorsztyn.